Most exhibitor passports are printed sheet of paper or cards and the attendees take the passport to each exhibitor booth to get either stamped or signed, then the passports are collected and entered into a drawing for prizes. This is great, however; what if you could go green and save on printing and increase the engagement and booth dwell time for your sponsors and exhibitors? Interested? Then read on! Does your exhibitor passport save money and increase your revenue? The SCANTrivia Exhibitor Passport does this and more! 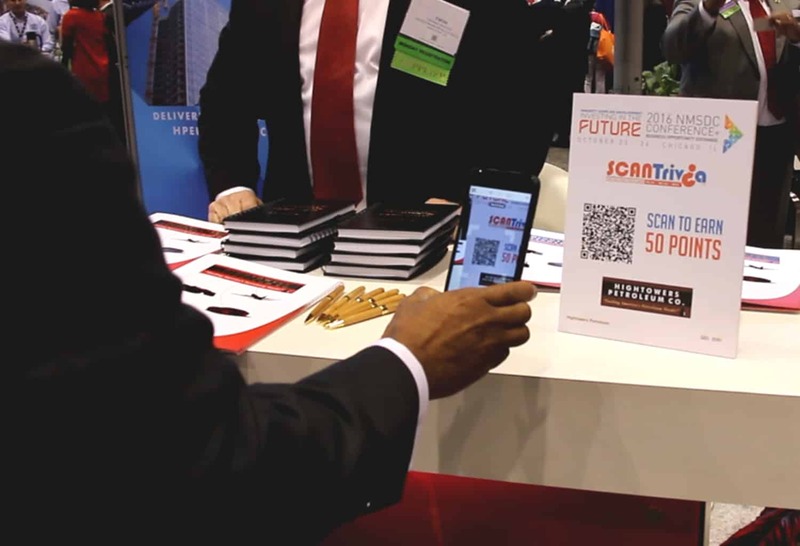 The SCANTrivia Exhibitor Passport is a digital passport that increases engagement and dwell time for your exhibitors and sponsors and…can be used to increase your revenue! 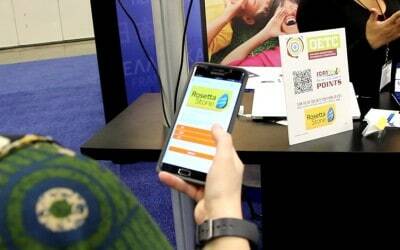 The SCANTrivia Exhibitor Passport benefits exhibitors by providing a deeper level of engagement. 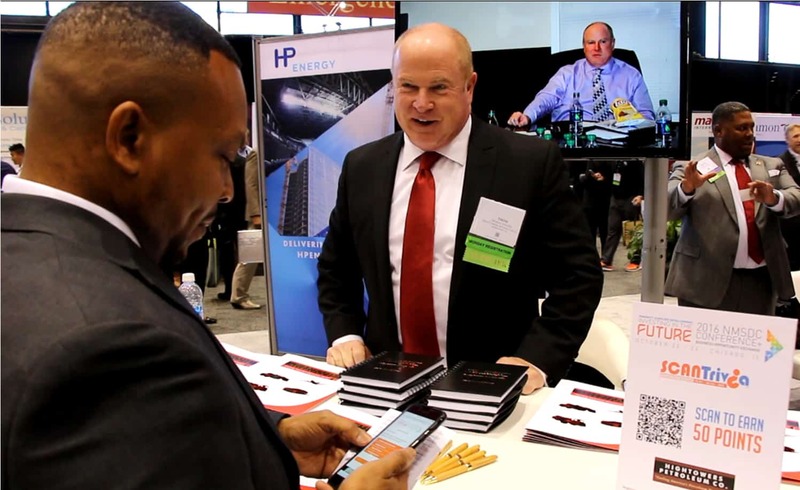 Exhibitors and sponsors love the SCANTrivia Exhibitor Passport because it allows them to engage with attendees on a deeper level at events. They provide a simple, yet, effective way to engage and educate attendees about their products and services as well as qualify leads during the events. Exhibitors are able to provide additional marketing information to attendees that help to promote their brand and message not only during, but also leading up to the event. What about the event planner? How does the SCANTrivia Exhibitor Passport benefit me? Good question! Our team handles the technical stuff and provides you the information you need to send to exhibitors to get them on-board and to set up their entry on the exhibitor passport. The SCANTrivia Exhibitor Passport is digital which means you save trees by not having to print paper passports for thousands of attendees. We can even integrate it into your existing event mobile app! Click here to contact us today to speak with a representative or set up an interactive demo!